dangerdarrell and 3 others like this. FunCycle, EjFord and UK_Paul like this. Has anybody seen any more about this? My local dealer contacted me when a Polaris rep was at our dealership. He gave me the name and contact number, I called, left a VM, no response. I have also reached out to them on the Club Slingshot on the website and facebook. So far, zero response. If I understand correctly this is set up through the local dealers, since our closest dealer now is nearly 200 miles away it sounds like this will not be of much benefit to us? They couldn't be botherd to include people outside, North America. It looks like it's just a hslf harted atempt at marketing... not what you eould expect from a "Global Company." Just checked out the Facebook page and, with over 900 members, it looks like it is not getting any updates, from Polaris. If you follow the link and then try to go to any of the tabs (posts, vidio, pics, etc.) then I get the message "No internet connection" when clearly - I Do Have A Conection, - (as I've managed to post this ok). From this I guss it's safe to assume they are not supporting the page, at this time. Or perhaps, Polaris just hate us Europeans, so much we are blocked, from the site. Edited once, last by UK_Paul ( Sep 22nd 2018 ). Remember how long it took to get the Slingshade released? How about swingarm recall parts? I looked at the link @UK_Paul and it looks like nothing has been added since 2016. I dont think that Polaris has put any real effort into it. If the project had been given to a young student, just out of collage to build it, into something good, I'm sure that they could have driven it & succeed in making things work. I spoke with Polaris, when I tried to get them to include, non US people as members & got coments like "It's above my pay grade" as an answer. I'm sure that they rather couldn't/wouldn't put any effort, in to the project, or it just seemed like a good idea, at the time and was never followed up properly, with any support. When the Victory, motorcycle, was first introduced into Britain they created the VRA (Victory Rider's Association). Each area had an Ambassador and they would organise events & rideouts, with a local dealer. They would also assist at exebitions and events, sponserd by Polaris. It worked and was a benifit, to the probuct. I susoect that Polaris had intended to do simething similar, with the SlingShot, but never followed it up with amy action. Edited 4 times, last by UK_Paul ( Oct 13th 2018 ). Are you frickin kidding me? Yesterday I get a post card in the mail announcing Club Slingshot. Tells me to join them May 10 or 17 2018, and member packets are shipping this summer. Just a bit late don't ya think. I sure hope Polaris are following this thread. It may sound hard, but it's the only way they will find out, how they are perceived, with "the club." Sorry, just got the SS club mail invite with cheap card. I received my club packet the other day...it includes a membership card saying I’m already a member but I have to confirm it on their site. Plus a 20 page full color booklet. It says nothing about dues. Each dealer is allowed to sponsor one club. Now the question becomes how much will your local dealer be willing to do for its sponsored club. Discounts would be nice and events for the club would be nice. Putting on an event where you invite other clubs to attend is a major doing...finding a proper venue, security, venders, entertainment, hotels. Major planning. Our club never held anything like that. Most of us slept in our vans with porta potties and coolers. Self contained. Distance between clubs would be the biggest factor...nobody (other clubs) is going to drive several hundred miles for a one day event like a picnic or Halloween party. And if it’s longer what do you do if it’s outside and it gets rained out? With a van you can spend a rainy day in it if you had to....I always took a cabin tent to use as a bathroom/ storage closet. You can’t fit a porta potty, sleeping bags, coolers, extra clothes and tents in a slingshot. There are many limitations to consider. Polaris, set up something, very much like this, in the UK, for Victory riders. The regional reps' were known as "Ambassadors." It worked well & was a very low cost option, for Polaris as these people organized ride outs, manned stands at exhibitions and helped fellow riders, with no end of support, for the product. It was an excellent marketing tool and even though Victory Motorcycles, finally, failed, this was a great benefit to promoting a great product. It would appear that Polaris are heading off, half cocked, with no set direction. Is anything happening with Club SlingShot? 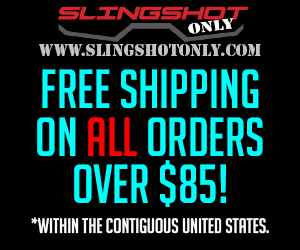 Has anybody taken their Club SlingShot membership any further? Nope. Looks like mostly just Polaris advertising.